A life change, such as retiring, can often lead to a relocation to a new place. Moving from NJ to Daytona Beach can be a great way to kick off your later years in the sunshine. Of course, you'll also need a great mover, like BBB-Accredited Simonik Moving & Storage to help you with that transition. Since 1977, we've been committed to providing a high level of award-winning service to customers. 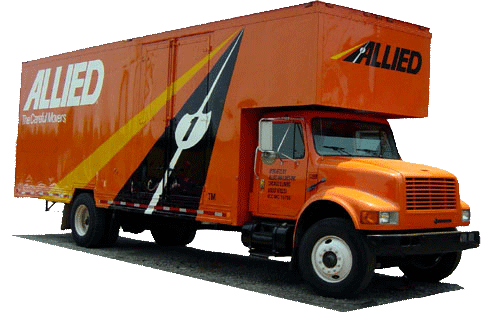 Which is made possible in part by being an agent of Allied Van Lines. This partnership gives us access to a national network of moving and storage professionals capable of taking on moves to anywhere in the United States. Regardless of the size of your move, it's essential to pick a moving company that can handle all of your relocation needs. Simonik comes to you to provide an in-home cost estimate for moving to Daytona Beach from New Jersey. We'll even assign you a Relocation Coordinator who will answer questions and assist you throughout the moving process. Not ready to receive household goods at your new property? Whether you need short- or long-term storage, Simonik can provide it at our secure warehouse facility. While you prepare your new home during that New Jersey to Daytona Beach move, your property will be stored in specially designed long distance shipping containers within our warehouse. You can rely on our work as past recipients of the 'Mover of the Year' award from the New Jersey Warehousemen & Movers Association. We're also a ProMover member of the American Moving and Storage Association, which keeps us apprised of the latest requirements associated with a long distance move. We're here to help you complete your NJ to Daytona Beach move. Learn more about the team at Simonik Moving & Storage by reaching out to us. We can provide more information about your NJ to Daytona Beach moving costs when you call us or request a no-obligation quote through our online form.